In the golden age of radio, most big time radio shows took a seasonal hiatus and the networks filled in with Summer Replacement radio shows. Most of the big shows were driven by the stars. The best shows were put together with a very talented supporting cast who made the star look good, but to a greater or lesser extent, it was the star that people tuned in to hear. So what the star wanted, usually the star got, if he or she could get the sponsor to go for it! One thing that the stars often demanded, and usually got, in their contracts, was a long summer break from production. For those of us raised on television, the answer seems simple; summer was the reason repeats were invented. During the radio era, the networks were less enthusiastic about broadcasting recorded material. The disc jockey who played recorded music did not even appear on the scene until late in the radio era. AFRS was a notable exception; most of their material was recorded on vinyl, and sent to an installation near where the troops were serving. Which still left the networks and sponsors with the problem of having to fill empty air time when the stars, and essentially the whole program, out of town for the summer. The answer was to come up with new programs. The networks expected that listenership would be down in the summer months, so there was little reason to put a lot of effort into creating the most high quality programing they could turn out. However, the writers and producers who were tasked with creating the replacement shows knew that this could be a chance toward lasting success. This led to a happy situation for many programs where the summer replacement became nearly as popular as the regular season offering that would be coming back to take over the time slot. Some regular shows were such powerhouses in their time slots that the summer replacement series had was nearly assured success. In different years, Lux Radio Theater was replaced by Orson Welles’ Mercury Theater, The Man Called X, and Escape. 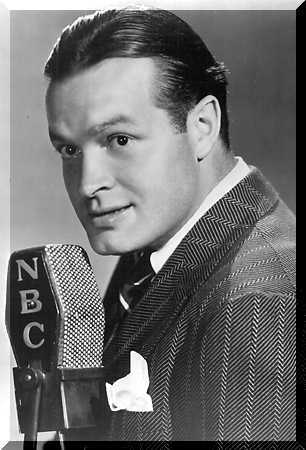 Famous shows that filled Bob Hope‘s time slot included A Date With Judy, Philip Marlowe, and Martin and Lewis. Amos ‘n’ Andy had a few hit replacements, including Boston Blackie and Doris Day. The Great Gildersleeve was replaced by another family sit com, Archie Andrews, in 1949, and in various years, Jack Benny was replaced by the Aldrich Family, Jack Paar, and December Bride. Other popular series that started as Summer Replacements include Dangerous Assignment (replacing Man Called X, itself a replacement), Pete Kelly’s Blues, Hawk Durango and Quiz Kids. See this extensive chart of summer replacement shows for more details! The sunny days of summer are a great time to load a few great old time radio shows into your MP3 player to enjoy while you take advantage of the longer daylight hours. This entry was posted in Summer Replacement Shows and tagged A Date With Judy, Aldrich Family, and December Bride, and Martin and Lewis. Amos 'n' Andy, Archie Andrews, Dangerous Assignment, Doris Day. The Great Gildersleeve, Escape, Hawk Durango, Jack Paar, Orson Welles' Mercury Theater, Pete Kelly's Blues, Philip Marlowe, Quiz Kids, The Man Called X. Bookmark the permalink.